Tell us how you would use $10,000 to make your goals of Access for All a reality. As outdoor stewards, it’s just as important to protect our public lands as it is to celebrate them. 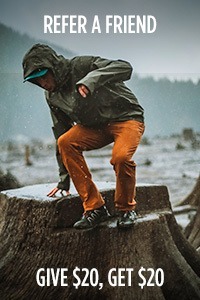 And as a brand that makes gear to help us get our hands dirty in supporting these important causes, we saw the opportunity to do both in one fell swoop. 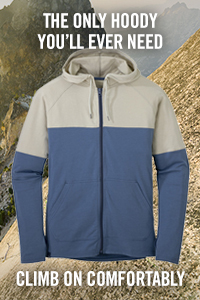 Meet the Wildlands Collection: The new accessory line that gives back to our public lands. 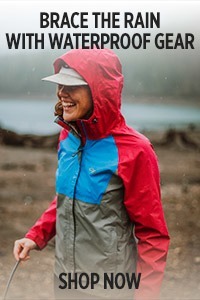 Outdoor Research is pledging 5% of all Wildlands profits to the Conservation Alliance, an organization dedicated to restoring America’s wild places. The hats, gloves, ubertube and gaiters you’ll find in the Wildlands Collection showcases the beauty of the country we call home, and the uniqueness of the people we consider our outdoor family. Because this land is your land, this land is my land, and together it is ours to share. 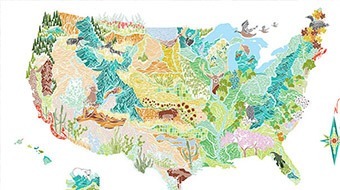 Each individual piece within the Wildlands Collection was cut from the same fabric map of the U.S., illustrated by Sarah Uhl, so that every product is 100% unique. No two products will look the same, just as no two people, parks, or trails can ever be identical. We like to think of Sarah’s artwork as the common thread that ties us together from coast to coast, while each product represents the individuality of each member of our American outdoor family. Living in the divisive political landscape of 2019, it’s more important than ever to remember that we share more than we disagree on. Sarah’s illustrations show this beauty in every corner of our country, and celebrate the fact that we’re all in this together. Sarah Uhl is dedicated to making art that plays a role in the protection of public lands, clean water, and climate issues. 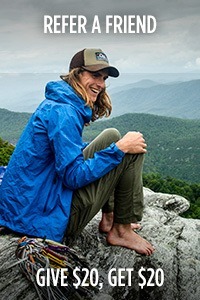 She has found a way to weave outdoor adventure into work as an artist and an activist, and she intends to keep discovering continued opportunities to blend all three. 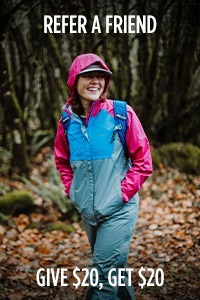 When the folks here at Outdoor Research first caught sight of how Sarah was “wielding her artwork as a tool for environmental advocacy,” we knew we’d get along. During the 2018 Winter Outdoor Retailer Trade Show, when we were first concocting the Wildlands idea together, Sarah used the side of our tiny home to create a 40-piece mural of plants, animals, ecosystems, and communities of Central Colorado. Each piece was sold on site, earning $6,300 for public lands over a single event, and cementing our brand’s relationship with Sarah. We’ve long seen words, music, and even sports play a part in the defense of public lands, but this theme of incorporating artwork into a product line that can benefit the bottom dollar line was a novel idea that we held fast and strong. And as a longtime supporter of the Conservation Alliance, partnering with this organization made perfect sense for Sarah, for us, and for the product collection we hope to share with the world. The Conservation Alliance’s vision is to protect and restore America’s wild places for their habitat and recreation values. They are catalysts who represent strength in numbers, who embody simplicity and effectiveness, and who have a responsibility to invest in protecting the places we love to explore. 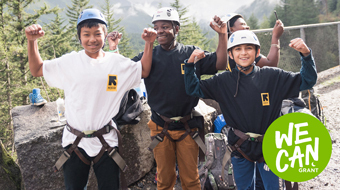 Learn more about Outdoor Research’s give back programs on our Community Partnerships page, and see how you can get involved in your own local organization. Each product within the Wildlands Collection, which includes both the Wildlands pattern as well as the Painted Hills pattern, are some of our best-selling, highest-rated accessories to date. 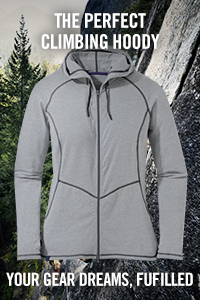 Built for equally sunny and sweaty adventures, every Wildlands piece uses a wicking, UPF 50+ fabric perfect for summertime pursuits. The Sun Gloves, Sun Sleeves, Ubertube, and Surge Running Gaiters all feature our ActiveIce™ technology which actively lowers your skin temperature as you sweat. 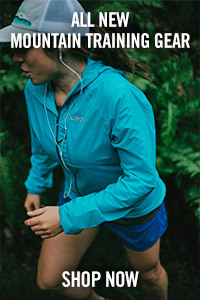 These products are manufactured using a recycled polyester that’s just as wicking, quick drying, and sun protective as the rest of entirety of the ActiveIce Collection. 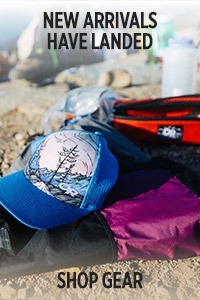 Both Wildlands hats – the Swift Cap and Solaris Sun Bucket – are wicking and water-resistant, just as good for blocking sun rays as for repelling moisture. Celebrate your favorite outdoor areas by wearing your Wildlands proudly, and by staying in touch with future opportunities to give back to the places we share, love, and explore. Please visit www.sarahuhl.com/shop for limited edition fien art prints of the Wildlands map. 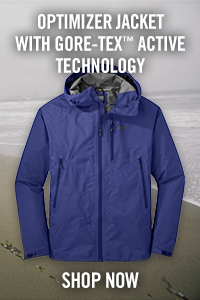 Outdoor Research® is dedicated to inspiring the journey ahead with award-winning technical apparel and accessories. Based in Seattle since 1981, we are committed to improving our customer’s experience through innovative materials, purpose-driven features, and versatile products that are backed by our Infinite Guarantee®. 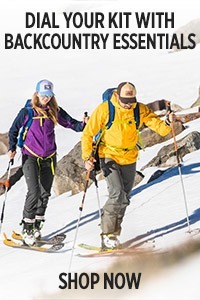 We rely on the real-world testing of our athlete ambassadors, mountain guides, and local adventurers involved in our core sports: alpinism, rock and ice climbing, hiking, backpacking, paddling, trail running, and backcountry skiing and snowboarding. We’re here for the fun, adventure, excitement, and For the Journey Ahead™. 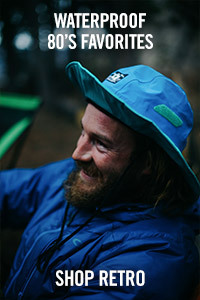 Get to know us at www.outdoorresearch.com or follow along on the journey via Facebook, Instagram, Twitter, and YouTube.